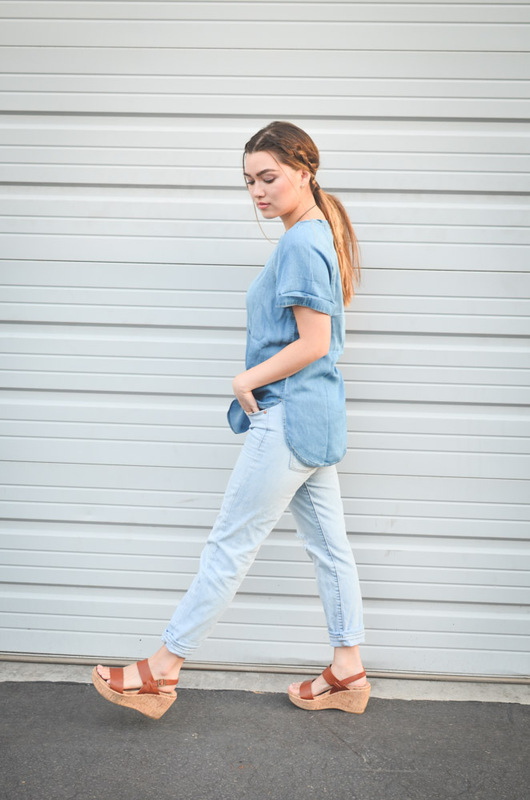 But I don't mind as long as I get to wear my light-wash distressed boyfriend jeans. They are seriously one of my fav pairs. I've had them for years and at first I wasn't too sure about having a saggy bum, but I got over that real quick. 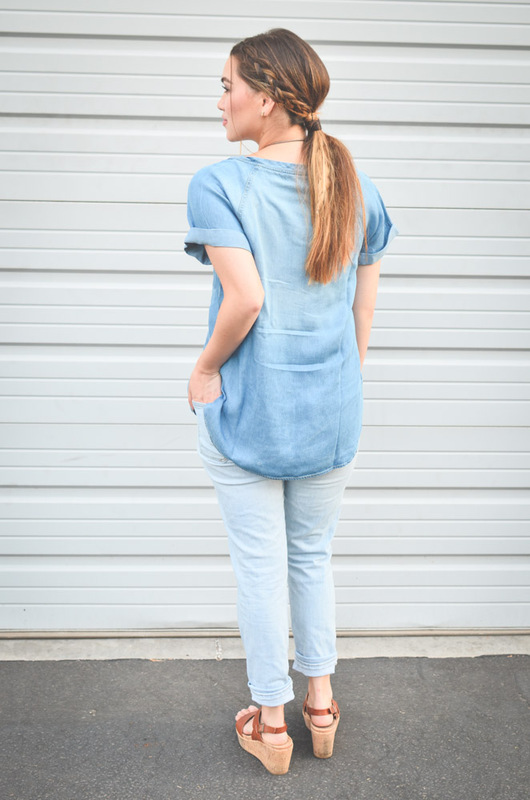 With that said, mixing denim is super trendy right now so I thought I'd give it a try with this fabulous TOP. It honestly is super flattering on and can be dressed up or down which I love. It is a super soft material, which makes it even dreamier. Hope you're all having the best week. Love you guys. P.S. Jake and I are wanting to take a little vacation, but we want it to be in the U.S. since we can't take off much work. We've been tossing around some idea but can't decide! Any recommendations? 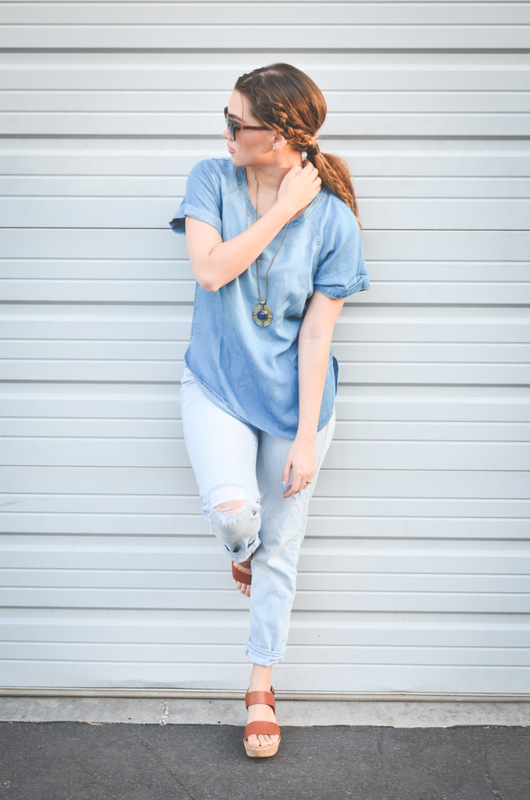 Hope you'll stop by for my latest looks! Thanks so much doll! You're the sweetest. 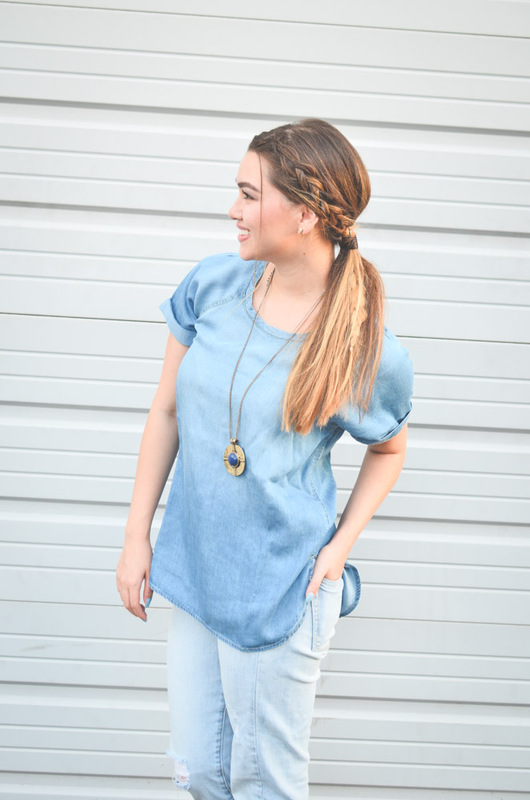 Loving the denim on denim and your braid is super cool, lady!